Recurrent tensions have long been inherent in Belarusian-Russian relations. Yet, the ongoing diplomatic spat, escalating since the summer of 2018, looks increasingly different from past disagreements. Not only are Minsk and Moscow now essentially disputing the fundamentals of their relationship, but new actors are appearing at the forefront and themselves becoming newsmakers in this complex story. Recently, developments took a somewhat unusual turn when the Belarusian Ministry of Foreign Affairs (MFA) exchanged tough words with the Russian ambassador to Belarus, Babich. 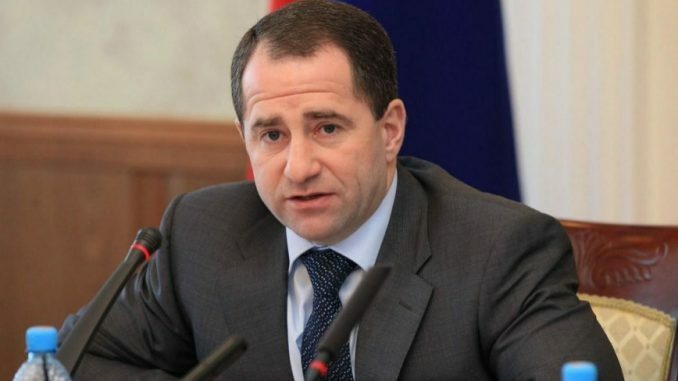 Mikhail Babich was appointed the head of the Russian diplomatic mission to Minsk in August 2018, when he succeeded Aleksandr Surikov, who had served in that position for 12 years. Babich had no previous diplomatic experience, but neither did Surikov before his ambassadorial appointment, so this, in itself, was nothing exceptional. Yet, extensive media attention to the personality of Babich made him a special case right from the start. Numerous commentators pointed to the fact that he had the reputation of a tough silovik (special services officer) capable of resolving difficult matters. For that reason, they argued, his appointment amounted to sending Russian “diplomatic special forces” to Minsk. Besides the status of ambassador, Babich was concurrently appointed the special representative of the Russian president for trade and economic ties with Belarus. This other position raised his political weight significantly by giving him additional powers—for example, the ability to initiate governmental meetings on relations with Belarus and to have direct access to Russian President Vladimir Putin. In Minsk, that concurrent appointment sparked mixed emotions. Some looked at it with heightened concern, given Babich’s reputation. Others saw it rather as an opportunity to put bilateral relations on smoother footing. It has long been the case that even minor economic issues between Belarus and Russia tend to pile up and not get resolved until they are tackled by the presidents. So some Belarusian officials and analysts hoped that it would become easier to settle such issues if Babich worked effectively in Minsk as Putin’s special representative on trade affairs. Half a year after the appointment, it is still too early to tell what kind of legacy Babich’s ambassadorship will ultimately leave. Yet, so far, his activities seem to be disproportionately confirming concerns about his non-diplomatic working methods. For example, many people in Minsk took notice of the fact that Babich started holding business meetings immediately upon arrival and before presenting copies of his credentials to the Belarusian foreign minister. In the diplomatic world, this amounts to a serious violation. Unlike his predecessor, the new Russian ambassador sustains an active presence in the media—and what is noteworthy, primarily in the Russian media. That fact gave off the impression that Babich was trying to change the overall positive narrative about Belarus in Russian society by reiterating again and again that Moscow should play a senior role in the relationship. One such media appearance, a long interview Babich gave to the official Russian news agency RIA Novosti, on March 14, prompted a harsh reaction from the Belarusian foreign ministry. That interview stood out compared to previous public comments by the Russian ambassador because, in it, Babich repudiated and even ridiculed some statements by Belarusian President Alyaksandr Lukashenka. Moscow’s envoy previously made similar comments in relation to other Belarusian officials, but the more recent RIA News interview represented the first time that he targeted the Belarusian president directly. The interview included the following lines, among others: Belarus “should not lecture Russia and its government on how to live”; “someone does not want to accept obvious facts”; and it is “strange” to raise the issue of how much Russia should pay for its two military objects on Belarusian territory. The interview also carried a clear message: Russia “feeds” Belarus, and that is why it is in a position to unilaterally change the rules of the game. All this looks like a new feature in Belarusian-Russian relations, where ambassadors had never before been key newsmakers. Although in 2009, the Belarusian MFA did publicly rebuke then-Ambassador Surikov for his comments about Belarus’s participation in the Collective Security Treaty Organization (CSTO), that spatended quickly. In the past, even when the leadership of the two countries exchanged emotionally charged statements, their ambassadors would normally work behind the scenes to ease tensions. The MFA statement seems to indicate that Minsk is not going to accept this sort of behavior from a foreign ambassador, even if he represents Russia or the Kremlin. At the same time, Belarusian authorities apparently want to avoid taking extreme measures and restricting Babich’s working space, as this would automatically result in the same limitations on the Belarusian ambassador in Moscow. The relatively calm reaction by Russia’s MFA suggests that Moscow prefers not to escalate the situation either. Emotions may subside for now, as both sides have called on each other to return to the working routine instead of making public statements. However, fundamental disagreements between the two countries remain unresolved. Moreover, Babich seems determined to continue asserting himself as “more than an ambassador”. His latest press conference, on March 18 – where he pointedly remarked, “There are two decrees, two competencies, the Ambassador Extraordinary and Plenipotentiary and the Special Representative, and depending on the issues that arise, I solve them in accordance with my functions” – certainly leaves this impression.